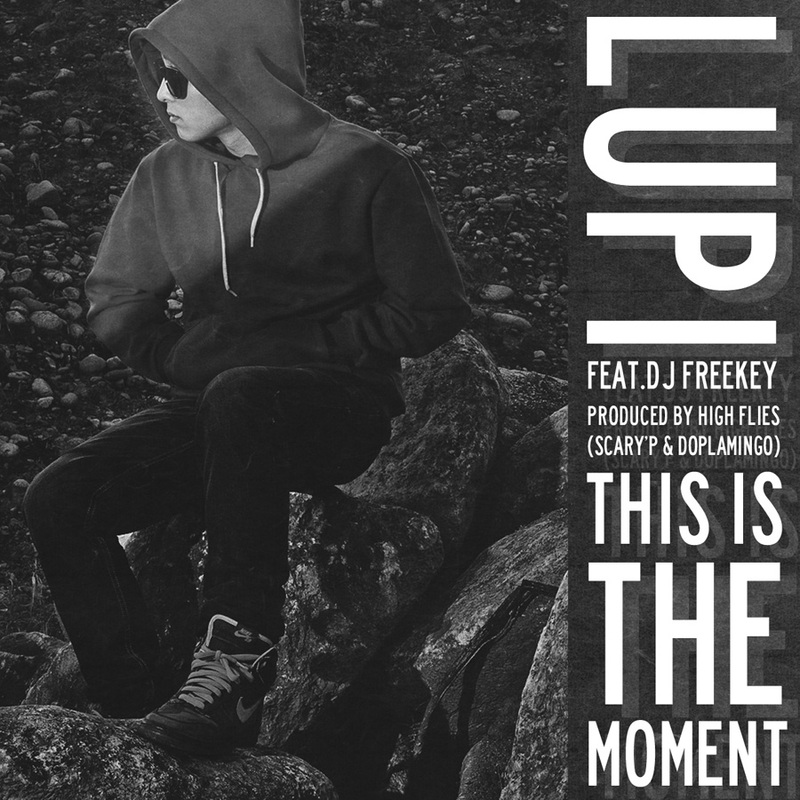 Lupi, who was a former member of Indian Palm and Young Boyz, released his free solo track titled ‘This Is The Moment (Feat. DJ Freekey)’. His new solo track ‘This Is The Moment’, which features scratching by DJ Freekey, is produced by team High Flies (Scary’P and Doplamingo) and is mixed and mastered by Soriheda. The artwork is designed by Jinwang. Lupi, who dedicates his free track to the aspiring dreamers, is currently working on his solo album and plans to release a track every month this year. This entry was posted in Free Music, News and tagged dj freekey, doplamingo, high flies, indian palm, Jinwang, lupi, scary'p, soriheda, this is the moment, young boyz. Bookmark the permalink.